Take part in the third annual Gunks Rock Weekend, April 27, 28, 29 and get ready for rock season! Choose from multiple clinics on all the skills and techniques you need to get out on rock - from basic skills with top-roping, leading and multi-pitch climbs. Any basic gear needed will be provided - helmets, harnesses, and rock shoes. As an added bonus - Rock and Snow will offer 15% off to all GRW registrants. All you need is to print out and show them the confirmation email we send when you register for it. *there are no discounts extended in this event for Mohonk Preserve members. Day passes to the Mohonk Preserve are not provided. Have you recently started rock climbing, or never climbed before? We will introduce you to the equipment, techniques and safety checks needed to rock climb. Limited to 12 participant on a 4:1 climber-to-guide ratio. All equipment provided. For climbers who are interested in getting out on your own top-roping, we are offering two, one-day clinics covering the skills you need to build natural and/or bolted top ropes. This is part 1 in a 2 part series. You can choose to take part 2 on Sunday, April 28th, or at another date of you choice with us. Part 2 will include: review and more practice of anchor building, rappelling off the anchor, ground management, belay skills. Limited to 8 participants on a 4:1 climber-to-guide ratio. All equipment provided. This is part 2 in a 2 part series. You can choose to take part 1 on Saturday, April 27th, or at another prior date of you choice with us. For experienced climbers looking to get out on the sharp end and start leading, we're offering the first day in our lead climbing program. We'll cover: gear placement, extension, and anchor building; methods of belaying and lowering off the anchor; mock leads and rappelling safety tips. This is for climbers who have prior experience and are familiar with traditional gear removal, can tie the basic knots (figure eight and a clove hitch), and rappelling. Participants will need to provide their own basic rack - nuts, cams, carabiners, slings, and cordellette - for use in the clinic. 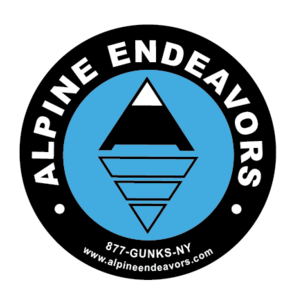 Looking to get out on some great routes in the Gunks that you haven't had a chance to yet, or aren't comfortable leading? We'll team you up with one other participant and your own private guide to set off and knock off some climbs! Limited to 8 participants on a 2:1 climber-to-guide ratio. All equipment provided. Day passes to the Mohonk Preserve are not provided.